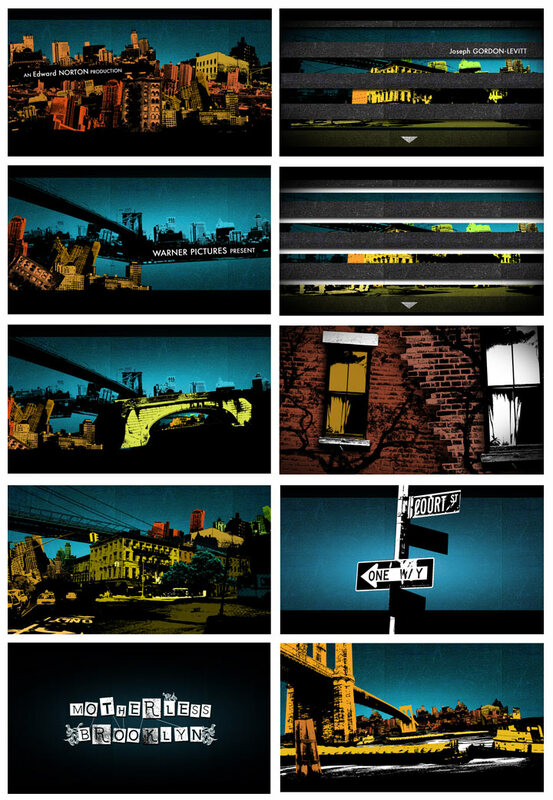 Tipped off by the mere hint that Hollywood heavyweight actor Edward Norton would be directing a feature based on Jonathan Lethem novel, French designer Remy Le Rumeur rolled onto an ambitious venture to create his version of the opening titles to the anticipated Motherless Brooklyn movie. 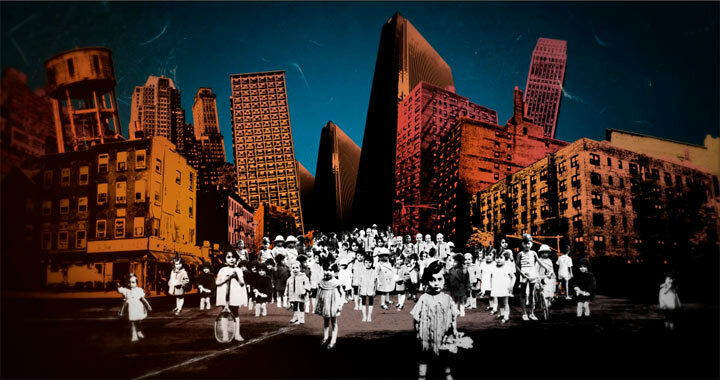 Immersing himself in research and taking cues from Dadaism and the book’s Tourette syndrome suffering protagonist, Le Remeur created titles centered around intrigue and gritty side to Brooklyn’s landscape. What posseses a designer who invests three months of his life to create opening titles for a movie that’s production reality is still a rumour? 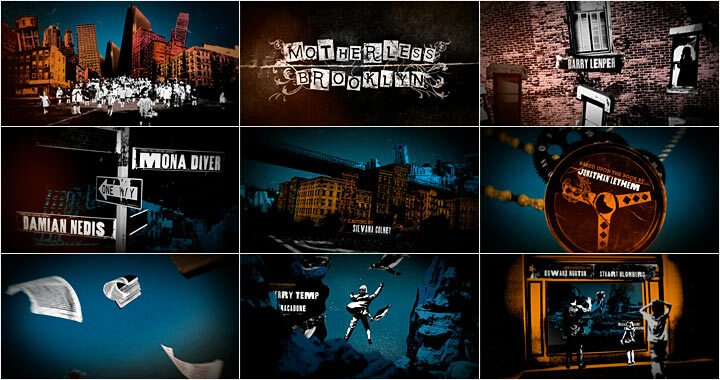 “I made this title sequence with only one goal in mind: to show it to Edward Norton and get to work on the official title sequence of the film Motherless Brooklyn, Le Rumeur says. “My aim was to be crazy. I wanted to surprise and especially to have fun with it. People have told me that Edward Norton would never see my work, and that's possible, but I want to believe otherwise. If he makes this film he'll end up seeing it eventually.” Le Rumeur bought the book Motherless Brooklyn years ago, after hearing that Norton would be creating a film adaptation of the novel. “I wanted to read the book before seeing the film because I wanted to know what Edward Norton, who I really appreciate as an actor, found inspirational in the story." Did Edward Norton see it yet? 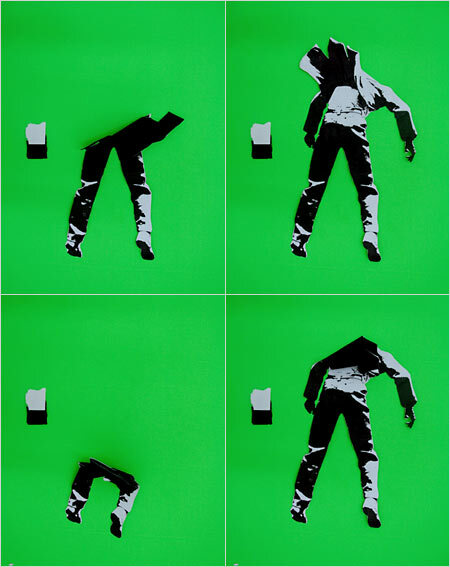 For the visual style, Le Rumeur took inspiration from sources as disparate as the Dadaist art movement – known for its experiments with collage and photomontage – 'Batman Year One,' and the Brooklyn cityscape. The graphics are partly inspired by American comic book auteur David Mazzucchelli's artwork for Frank Miller's influential Batman Year One graphic novel. “Especially his rough and colored worlds.” Equally inspirational was the work of the French film pioneer George Méliès (A trip to the Moon), who constructed innovative film sets that consisted of several overlapping layers. “And my friends Samantha de Biasi and Manuel Charpy, who advised me,” Le Rumeur adds. What interests you about title design specifically? 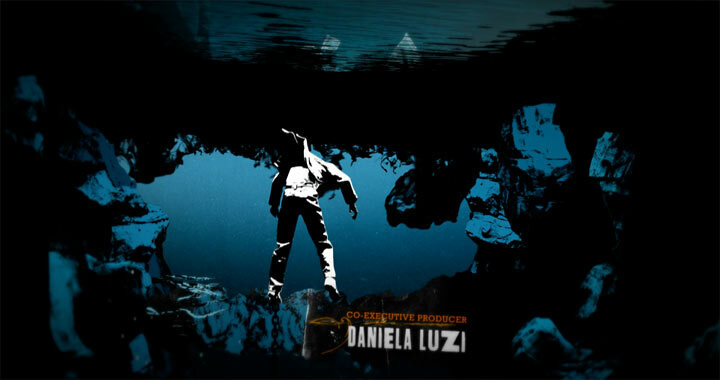 Sstop motion animation of one of the characters in the titles. Article: Rani Nugraha and Remco Vlaanderen, © Submarine Channel, 8 August 2011. Remy Le Rumeur is a French graphic and motion designer. He studied a BA in graphic design & multimedia at the Lycée Jacques Prévert of Boulogne-Billancourt before working at web agencies such as Fullsix and Wunderman. He is currently freelancing. Samantha De Biasi, Mickaël Pavlidakis, Manuel Charpy, Jérôme Tailhades, Bruno Sussi, Déborah Buret, Maxime Rimbert, Hassiba Azizi, Vincent Duquenoy, Philippe Keang, Alexandre Monteiro and BA graphic design & multimedia Lycée Jacques Prévert of Boulogne-Billancour. A title sequence that makes me want to see the film, that was great! Absolutely no idea what this film is going to look like, but the titles are intriguing.